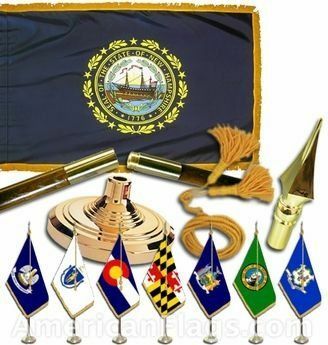 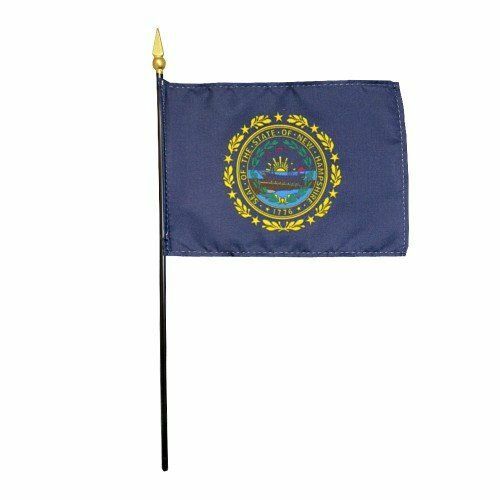 AmericanFlags.com is proud to carry New Hampshire State Flags in a variety of materials, and styles, in sizes ranging from 4 IN X 6 IN to 12 FT X 18 FT. All of our New Hampshire flags meet official specifications, are on sale right now and are ready for immediate shipping to your door. 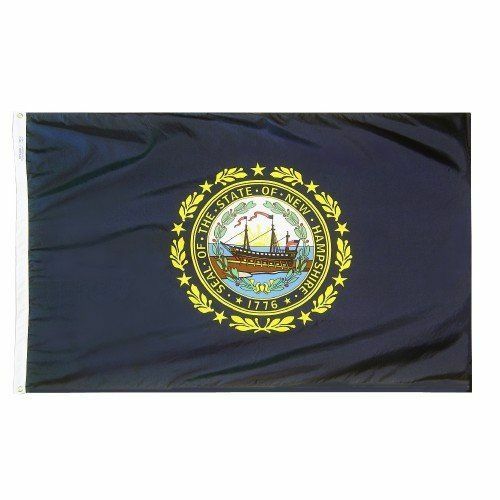 The State Flag of New Hampshire bears the image of the state seal and was adopted in 1909. 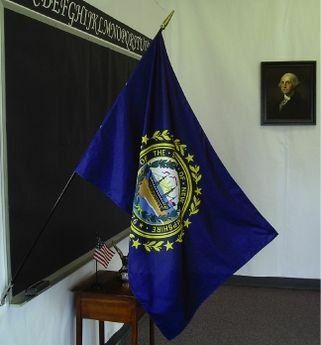 A deep blue background highlights the seal's image of the sailing ship "Raleigh" which was built to fight the British during the Revolutionary War. 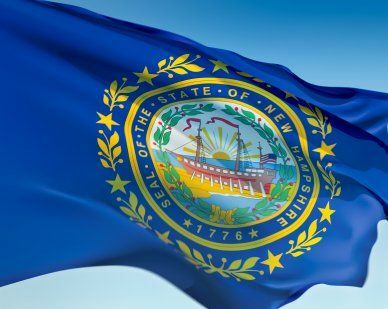 New Hampshire has the distinction of being the 9th state to join the Union, which is symbolized by the nine stars that encircle the seal.